a new concept that harmonises your data processes, from the oceans to the office. The Digital Ocean is enabled by the combination of our leading underwater technology for the collection of data by marine researchers and commercial operators, the interconnectivity to distribute the data and the digital, cloud-based foundation to analyse it. 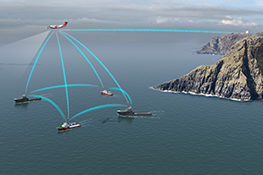 By integrating the entire journey that data takes using connected solutions from KONGSBERG, Digital Ocean becomes a single ecosystem for more efficient, lower cost and better performing operations. KONGSBERG’s leading portfolio of hydroacoustic and physicochemical technology is well proven with an exemplary track record, to collect the highest quality data, ensuring your work results in availability of the best possible information to be acted on. With the highest quality data collected from below the surface, distributing it efficiently is vital to ensure that the right decisions can be made by experts on shore quickly. Our technology is a key enabler of communications within the Digital Ocean. When Digital Ocean processes are integrated perfectly, your data specialists are empowered to perform rapid analysis of results and quickly make decision on the go. 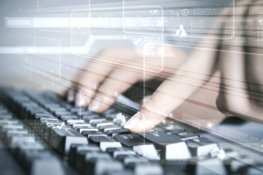 Through cloud-based working, on shore personnel can view data and interact with other domain experts to provide additional information. 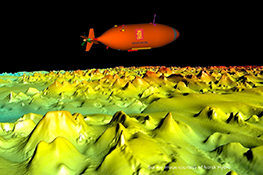 The Digital Ocean is a diverse resource, ready to deliver efficiencies and higher performance across for a variety of users, from research and commercial survey operators through to government agencies and commercial surveillance companies. The Digital Ocean is designed to make data collection, distribution and analysis future-proof. As exploration and commercial operations go deeper, Kongsberg Maritime’s well proven underwater instruments, marine robotics and autonomous technologies help you to work efficiently and safe at the darkest depths and further from shore. The sustainable future includes surveying hard to reach places. For this, using people can be limiting and, in many cases, impossible. Which is where marine robotics and autonomous technology comes in. With KONGSBERG technology, it is possible to send out equipment for longer term assignments without undue pressure on personnel and HSE. With KONGSBERG technology out in the field – wherever that may be – your people can be safe on land, ready to analyse and act on the information provided. And while this delivers safety in extreme environments, the cost-benefits of autonomous operations will be significant. The Digital Ocean will prepare KONGSBERG customers for the future and the required technologies and integration is already here. KONGSBERG has the building blocks to accelerate your digital transformation and we are looking forward to showing you how they go together at Ocean Business 2019. See you on our stand! Interested in a demo? Please fill in the form below, and we will get in touch with you shortly. User-friendly. Innovative. Reliable. Solutions that work. Our approach to product design maximize performance by providing THE FULL PICTURE. 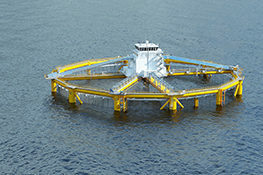 We cover on- and offshore, merchant marine, subsea, navy, coastal marine, aquaculture, training services and more.